Since 2009, we have been putting the finishing touches to your quilt project. 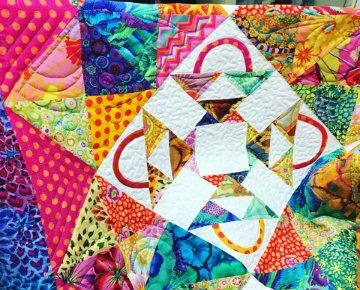 Whether it is one of our 2,500 edge to edge patterns or one that needs some custom quilting, this is the place to bring your top! 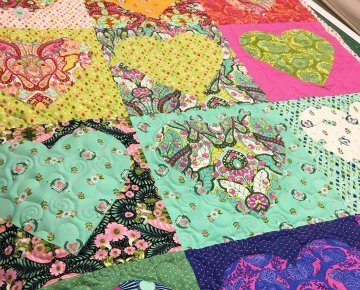 Located in historic Tecumseh, MI, we invite you to come to our shop to see the quilts on display or check out the patterns we have to offer. Our crew is able to help you chose the best pattern, thread and batting for your project. We are a mother and daughter team that have over 50 years combined experience with sewing, textiles and quilting. And with three generations of quilters in the family....we think its a family obsession! 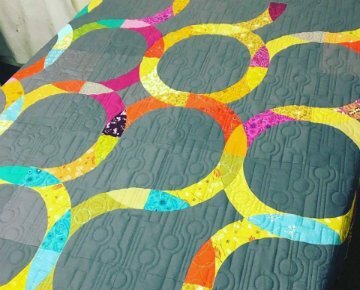 Cindy had the vision for a long arm studio that quilters could come see first hand how their quilts would be finished, so she and Shelby opened the doors to the studio. Turns out she was right! Quilters and even non quilters wander in to see "what those machines are doing"...and they've been running ever since. With Shelby's background in Interior Design, she brings a youthful and tailored look to her quilting style with both edge to edge choices and her custom quilting. All of us here at the MO Quilt Studio thank you for taking the time to visit our site and hope to see you in the studio!